If you’re wondering how to find a good home inspector, the main things to look for are experience and professionalism. Approved Home Inspections, LLC has developed specific methods and procedures for inspecting residential properties. A home inspection covers major components of a home and including but not limited to the areas listed below and typically takes 2-3 hours. Our team of certified home inspectors are trusted by homeowners throughout the region, and we have helped home buyers and sellers get the full picture of their home. From radon testing to mold testing, we go the extra mile to ensure your home is perfectly safe. We also take pride in our affordable home inspection fees. Many homeowners that are considering selling their home would like to be proactive and have their home inspected prior to listing with a real estate broker. In this way, if problems are discovered, the homeowner has the ability to make the necessary repairs beforehand to help avoid any potential delays during the real estate transaction. For many people a home is the single largest investment they will ever make in their lifetime. A home inspection provides the buyer with an education about the home they are considering purchasing including the condition and operation of its essential components. A home inspection is one of the best investments you can make, whether you are in the process of buying a home or if you already own one. Approved Home Inspections, LLC is committed to providing the highest level of service to your clients. This includes responding to all correspondence and scheduling in a timely manner. We also believe that managing the expectations of all concerned parties and clear and concise communications is essential for a home inspection to be successful. Just because you can’t see it doesn’t mean it isn’t dangerous. 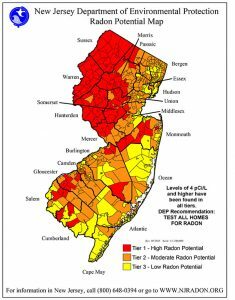 Radon enters the home through multiple entry points, and if left unaddressed can cause adverse and life-threatening health effects. It doesn’t matter what type of home you own or where it is located, it’s always better to be safe than sorry when it comes to radon. The EPA and the Surgeon General recommend homes be tested for radon, which is why we perform in-depth radon testing to get the full picture and develop solutions. This is invaluable information and can make all the difference, whether you are buying or selling a home. Already have an inspection in mind? Review our agreement by clicking here.